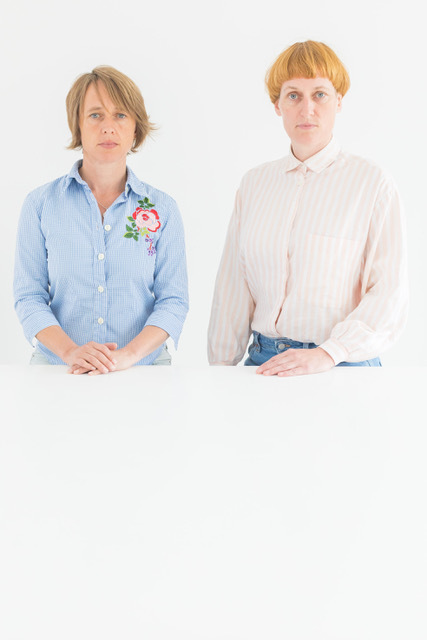 Heidi Rustgaard and Hanna Gillgren has worked together as choreographer and performer duo H2DANCE since 1999. Now they are curating Fest en Fest, a new international festival of expanded choreography. Fest en Fest will take place in Deptford London from 22 – 24 June, bringing together artists and audiences through performances, talks, lunches and parties. The festival features choreographers and performers such as Ingri Fiksdal, Mette Edvardsen and Matthias Sperling, and intends to develop new connections and infrastructures between the Nordic countries and the UK. Why are you making Fest en Fest and how did it all start? Fest en Fest started from a need to create a meeting place for artists in London where the focus was on the choreographic as well as a desire to share some of the exciting Nordic works rarely presented in the UK. There is currently very little exchange between the Nordic and British scene beyond the larger companies, and we wanted to look at ways to open up for cross-fertilization, collaboration and opportunities between Nordic and UK artists and audiences. Another important aspect was to create a festival that would have a focus on the social, creating space for audiences and artists to meet, share, talk, eat and hang out together. 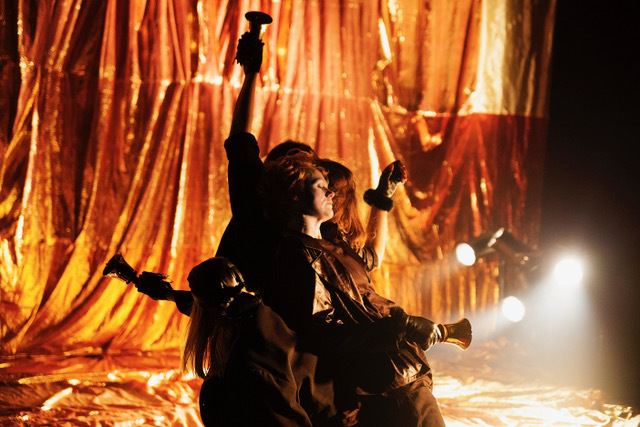 Most dance and performance festivals in London have events spread out all over the city, which doesn’t allow time and space for audiences and artists to come together and share thoughts and ideas about what they have experienced. What do you want to achieve with this festival? Part of the reason for creating the festival is to facilitate discourse around the practice of choreography and explore the gap between live art that seems to hold most of the experimental works in the UK, and dance. 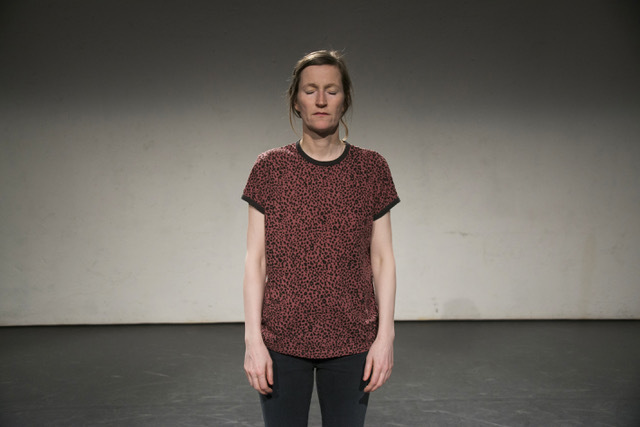 By looking at performances through a choreographic lens, the ambition is to focus in on choreographic practice going beyond dance, and start fostering new links between the UK and Nordic scene, where this seems to be more prevalent. Another big reason for creating the festival is to offer space for artists in London to come together, share, learn, provoke and be a force for change. The festival questions the context for art production, current programming and aesthetic power structures. We believe there is a real need for artists to get more involved in decision-making around programming and how work gets presented and disseminated. Currently there are more male than female choreographers presented in the dance houses in the UK and we have consciously programmed more female than male artists in the festival in an effort to address that. You will also perform your own work, Strangers & Others, at Fest en Fest. Can you tell us a bit about how you work and what you try to explore with your art? Our work sits in between performance and dance and can be characterised as interdisciplinary, often taking a humorous approach to serious subject matters. We have an ongoing fascination with meetings of differences, exploring ways in which we negotiate hierarchy, conformity, power and manipulation. Working together as H2DANCE we often take our own collaboration as a starting point for making choreographic works, allowing our two distinct and different characters and voices to co-exist, agreeing to disrupt each other during both the process and the performance. Our work explores deconstruction, breaking down of the hierarchy between performers, light, set, sound, costume to find new relationships to our audiences. Our choreographic process is often informed by a series of workshops and conversations with people of different ages and backgrounds, and these encounters influence and inform the ideas and aesthetics of the work. You have worked for 18 years across the UK, Norway and Sweden. Are there any differences between the arenas for dance and choreography in these countries? In our opinion, there are some very big differences both in what is being produced and the potential for art production. This is partly to do with different funding structures and cultural politics, but also impacted by how living and working in different environments creates different opportunities and responses to the local context. Norway has had a focus on internationalization of the arts lately, and is very good at supporting artists to present their work outside of Norway. This is in stark contrast to the UK where there is hardly any funding to be accessed for touring work abroad. This means UK artists have fewer possibilities to access opportunities and less exposure to different cultural contexts and aesthetics. In the Nordic countries, there is more focus on the design elements such as lighting and costumes, placing a more equal emphasis in the different element in the work. In the UK community participation is big on the agenda, and working with non – professionals or local participants based in and around the venues becomes something you have to take on. It is almost impossible to get Arts Council funding without having communities and/or audiences involved. This sometimes creates an imbalance between teaching and giving workshops and the actual making of the performance work. Touring opportunities in the UK are also getting scarcer and scarcer and there is a need for introducing alternative performance opportunities and looking for new ways of disseminating one’s work as an artist. Who should come to Fest en Fest and what can they expect? Fest en Fest is open and interesting to anyone who is fascinated by the arts and new experiences. It presents exciting works from artists who are rarely or have never been presented in London before, giving audiences a flavour of some of the more experimental and cutting-edge choreographic works coming out of Norway, Sweden and the UK today. In addition to the opportunity of feasting on several great performance-works in a short span of time, there will be parties and hangout spaces to meet, chat and dance. The audiences are welcome to come for the whole festival or join in in parts. You do not need to be an ‘expert’ on dance and choreography to enjoy Fest en Fest! We want this to be an opportunity to experience new works from some very established artists in their field, who all have a big presence in the European scene, however not yet in the UK. Fest en Fest aims to change this! Follow this link for more information about Fest en Fest.